Are you looking to reduce the amount of products in your bathroom? We have 4 shampoos, 2 conditioners, 4 soaps, and shaving creams in our shower and it is chaos! As an Influenster member, I was able to try our the Ivory 2-in-1 Hair & Body Wash and I love it. The smell has a nice, clean soap smell that is good for both me AND my husband. He husband enjoyed how it made his skin and hair feel afterwards, and my tween commented on the nice smell! Sounds like a winner for our house! 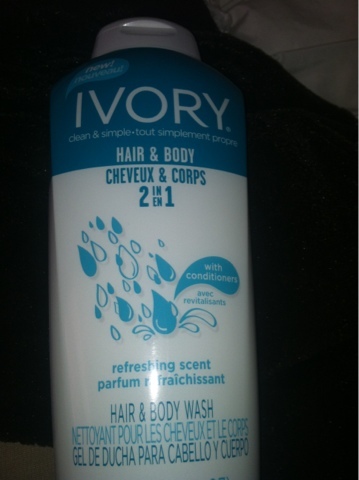 I received a sample of the Ivory 2-in-1 hair and body wash from Influenster and Ivory! I love Ivory! Feels clean without being harsh!